Howard Majev is a seasoned real estate attorney with extensive experience in acquisitions, dispositions, financings, development, and leasing of industrial, multi-family, retail, office, mixed-use, and sports properties, including stadium development. Howard represents clients in connection with portfolio acquisitions of residential and commercial properties, long-term land leases, low-income housing tax credit syndications and other affordable housing transactions, sports facility developments and project financings. 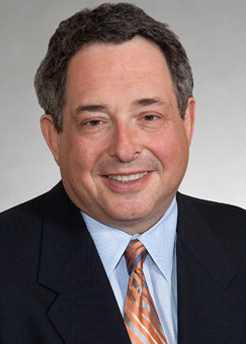 He has served as Special Counsel for real estate matters to the Attorney General of Ohio. In addition to his legal practice, Howard is a frequent speaker on leasing and other real estate-related issues, particularly at CLE seminars sponsored by the American Bar Association's Section of Real Property, Probate and Trust Law. He is fluent in Polish.